"Great Service! Thanks Les, Jeff & Stephanie!!" We booked an appointment with Les to have an issue with the brakes checked out. He made it a priority for the next morning. Once there, found that there were a couple notices in the system for our Explorer and we were given the option to leave it to get them taken care of. We saw how busy the service area was and really appreciate Les fitting it in. He also spoke with Jeff from the body shop about a concern we had and that was also taken care of at the same time. Stephanie not only got us home safely but ensured we had all needed to contact her when we were ready to return. Within less time than we anticipated we returned to find everything completed and ready to go. As it turns out the brakes we went to have checked were good and not an issue. This was our first visit to the service department at Cypress Motors and we will definitely be back. We look forward to meeting the rest of the team in the future as we have yet to use the Quick Lane. Special thank you to Les in service, Jeff in body shop and Stephanie in customer courtesy, you are all very efficient and knowledge representatives of Cypress Motors but your great personalities stood out the most!! "Thank You Mike & Liz! " We actually purchased our Explorer XLT at Cypress Motors a few months ago but the great experience remains fresh in our memory. Our purchase started with the simple "check availability" after seeing the vehicle we wanted on the Cypress Motors website. We then exchanged a couple of quick emails with Mike and before we knew it we were on our way to meet Mike and Liz and accept delivery. 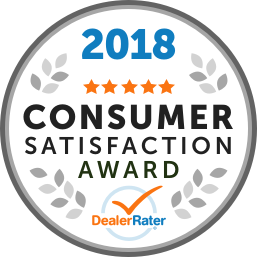 Not sure what the normal procedure is when purchasing with a trade in but we certainly were impressed with the fast & efficient service we received at Cypress Motors. We have read all the great reviews submitted on the service department and look forward to meeting them in the very near future. By the looks of it, the impressive work ethics is the "norm" at Cypress Motors! Brett at the Quick Lane, treats his customers AND their vehicles with respect! He has a calm, friendly manner and he explains what needs to be done other than an oil change. He never makes you feel like you are "a woman" so you don't know anything, far from it. He allows you time to ask questions, to understand completely the analysis report, never rushes you out the door. Walks with you to your vehicle, and even opens the door for you! Brett looked after my concerns and questions during a service appointment at Cypress Motors in Swift Current and followed up a few hours after I had left the dealership, going to extra mile is appreciated! Thanks Brett!! We arrived after 5pm thinking we may be too late for an oil change. Brett advised us it was no problem and that customers come first. He was able to quickly diagnose a sound issue and provided us guidance to get us home. "Excellent service Ford Motor Co pre-paid Oil Change service"
Given immediate service after several unsuccessful attempts getting into the dealership where we had bought the vehicle. Brett B - Quick Lane Mgr is top notch and restored our faith in Ford’s commitment on pre-paid service options. Ford please note - if a service departiment is unable to meet a customers needs on several occasions, the customer should still be given credit for the appointment missed by having to go over your mileage, otherwise it appears as nothing more than a money grab! Cypress Motors will certainly now have the first opportunity when we are looking for new Ford vehicles as replacements for our F350 and Ford Explorer. Cypress Motors is now our service specialist of choice. I stopped for an oil change. No appointment necessary. He was fast and efficient. Visually inspected my vehicle and know he is reliable if anything further needed to be done. Quick, Personable and informative. I will definitely be coming back for this excellent service. I was in and out within a half hour. Brett Bedford, was excellent.